Before this weekend in Sevilla I always maintained that Barcelona was my favorite of the (small amount of) cities I had been to in Spain. Well Barcelona just got knocked off the pedestal. 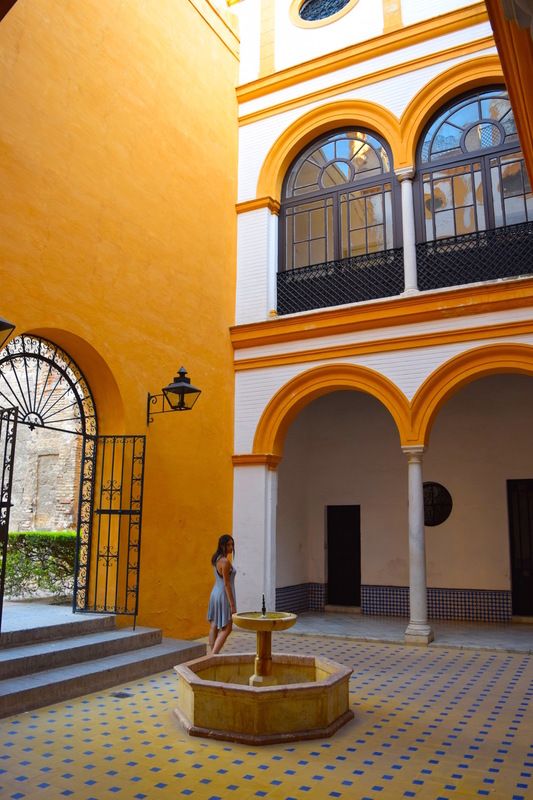 Matt and I spent 3 days in Sevilla and I never wanted it to end. The city is so incredibly beautiful and has so many different cobbled corners to explore. We found ourselves walking the tiny streets and slowly enjoying the atmosphere. 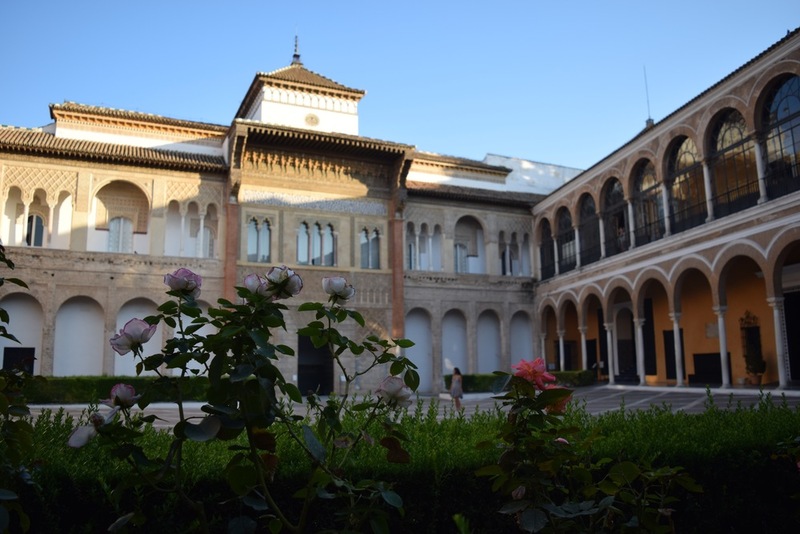 We took the earliest train out of Madrid and arrived in Sevilla by 9am. The train can be pretty cheap if you buy it far enough in advance but I would recommend the bus. Even though it is double the time it's about a third of the price. I took it to get back to Madrid (for my flight to Malta) and found that it was new buses, extremely comfortable and basically empty. Plus it had Wifi. I ended up live-tweeting my adventure to pass the time. But back to Sevilla, we checked into our hostel which was pretty cheap for being right in the middle of town. 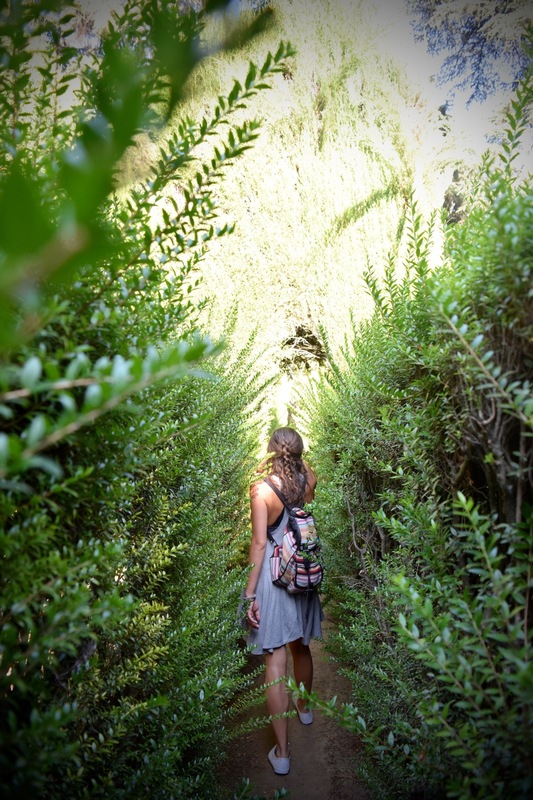 I loved the location since we were on the road that leads to the gorgeous and huge Sevilla Cathedral. 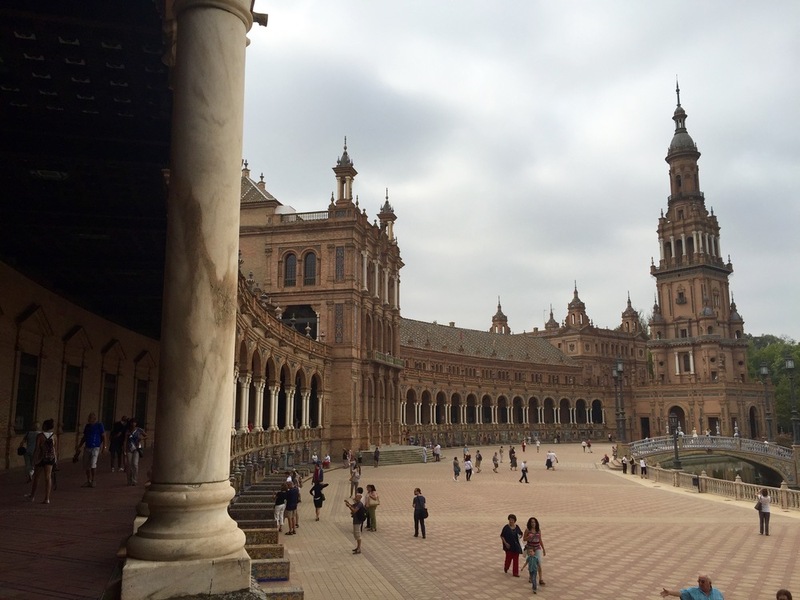 We spent the majority of the first day exploring Plaza De España and the Parque de Maria Luisa. 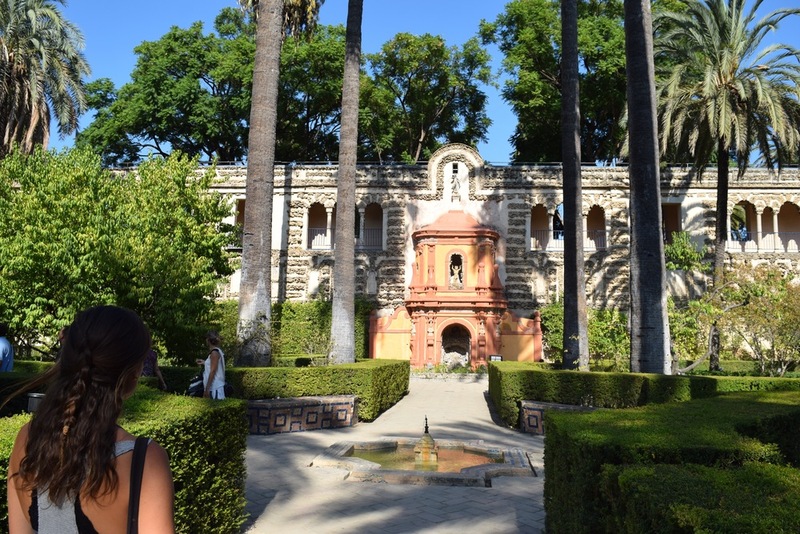 I knew about the Plaza before arriving in Sevilla but I was completely blown away by the park. The Plaza was built in 1928 for the expo of 1929 and it also has been used in tons of movies (Star wars!) which had Matt geeking out. 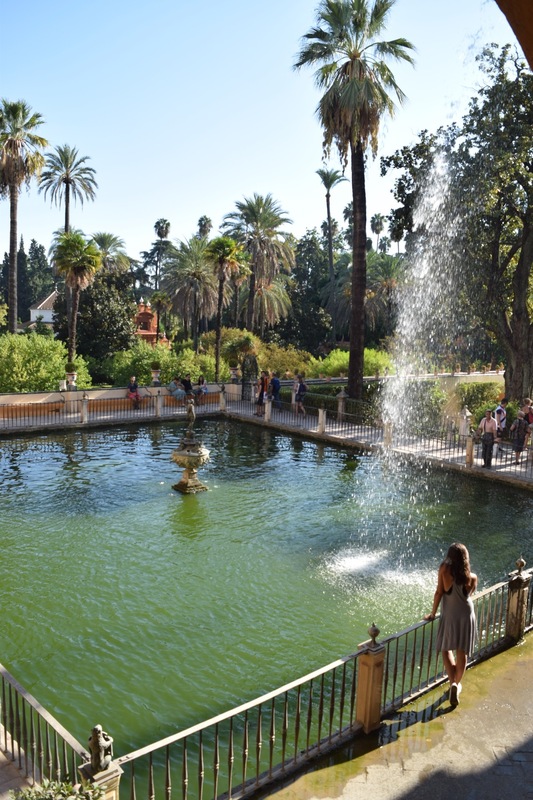 Parque de Maria Luisa was my absolute favorite place in Sevilla. It may have been because it was so surprising to me. I love arriving in a city and not knowing all the sights of the city because then there are truly places that take my breath away. The park was one of them, since the architecture and layout of the park seems inspired by the city's history, making it more intriguing than most of the simpler parks of Europe. 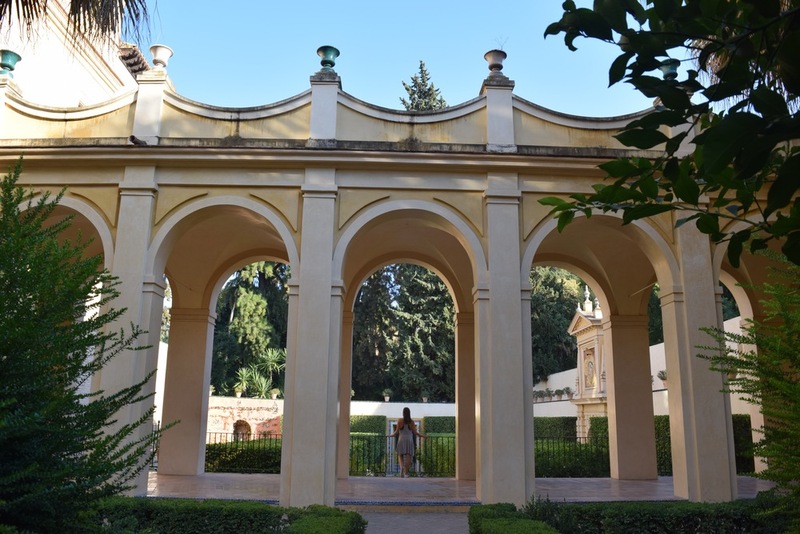 The grounds were the former gardens of the Palace of San Telmo and were donated in 1893 to be used as a public park, they were rearranged in 1911 to what currently stands. After a long day of walking around the huge Park and exploring the Plaza we took a much needed rest between late afternoon and sunset. But for sunset we did head over to the Metropol Parasol. The huge structure has a ton of controversy surrounding it. 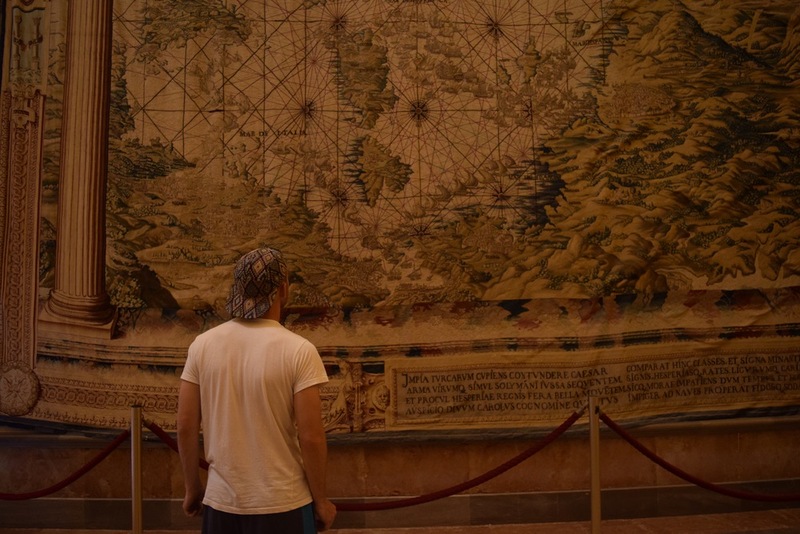 It took 6 years to complete instead of 2 years, cost about double what was expected (100 million euros) and it's located in the old town over some very ancient ruins. We had a chance to talk to some locals about it and the main consensus is "people aren't happy about it, but it's there so we are hoping it turns into the next Eiffel Tower." I mean after all, the Parisions hated the Eiffel Tower at first. As a tourist though, we loved it for sunset. 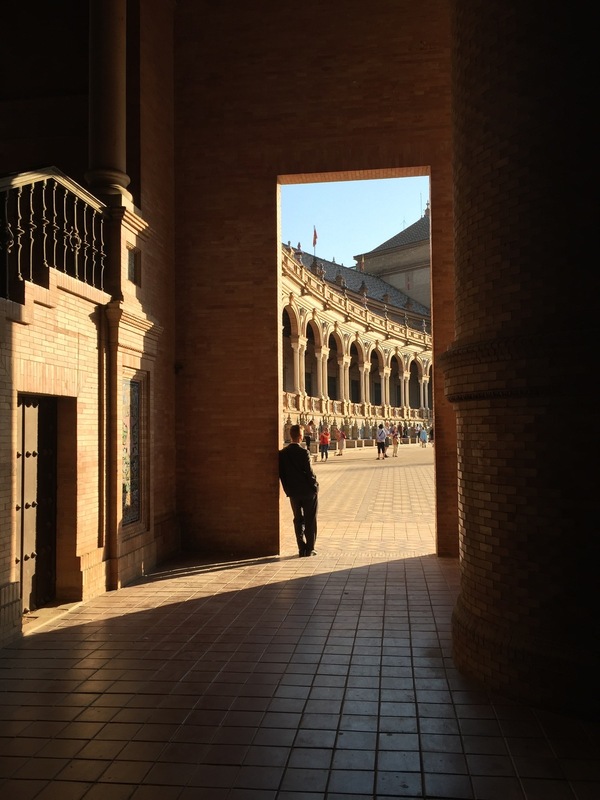 It gives you great views of the Sevilla Cathedral and Plaza de España as the sun sets. I hope it starts to get the respect it deserves. It is an incredible structure when you are on top of it and we loved the juxtaposition of the old and new built together. On day 2 we had the chance to view Sevilla and the spanish country side from above the clouds with a morning hot air ballon ride that also kicked off the #monthofmatt. 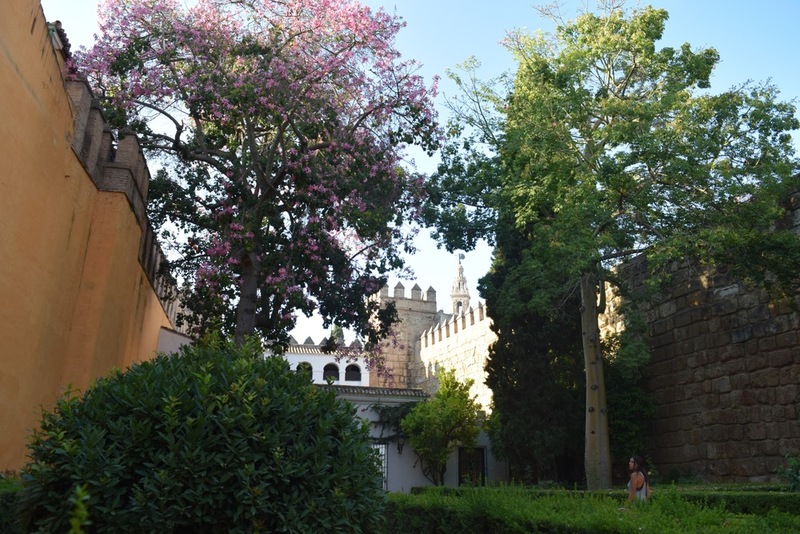 After a quick nap we finished the day with a walk through Alcazar, which was truly spectacular. I love anything castle or palace related and this palace actually still has the Royal Family living in the upper apartments – it's the oldest palace still in use. Matt, ever the aspiring photographer, had a field day taking pictures of the place. The palace is known by everyone as the most beautiful in Spain and it definitely lived up to the reputation. On the last day we woke up extremely early and got to the plaza as the sun was rising so we could experience the calmness and beauty of the huge structure before the hoards of tourists and street vendors arrived. It was such a beautiful atmosphere to be in and we loved every second of it. If you can manage to wake up early, and I mean really early, I highly suggest heading to the big tourist attraction of the city. It feels so completely different when it's devoid of people. We arrived at the Plaza at 8am and by 8:30 there were already tour groups walking through. But even getting 30 minutes alone at the huge plaza was enough to make an impression. We rounded out the day by renting a tandem bike to make sure we saw every last bit of the city while also trying a ton more tapas places. It was so fun and definitely worth the bruises from a very uncomfortable seat.